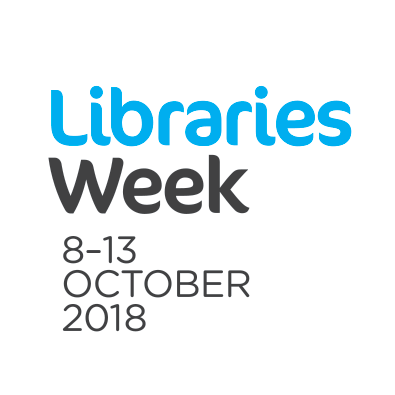 As part of this year’s Libraries Week, libraries across the UK are being celebrated for the central role they play in society’s wellbeing. As communal institutions, they offer access, not just to literature and information, but the company of other people. Long seen as places offering solitude and quiet study, libraries are now more likely to be central hubs for people in the local community to get together and interact. This changing use of the library has had its detractors, but at a time when local authorities are facing significant budget cuts, and maintaining public libraries slides further down the list of council priorities, anything that ensures they remain open and are well-used can only be for the common good. While Libraries Week celebrates all types of lending library, it is often public libraries that hold a special place in people’s affections. They are usually the sites where we first gained access to that special book that instigated the reading habit. As institutions that provide free access to reading material, public libraries have long been the place where people headed when seeking something to take them away from their day-to-day lives and transport them – imaginatively at least – to a world of fantasy and excitement. Of course, as a public service, libraries have never existed simply to encourage people to escape from the world around them. They were intended to cater for their educational needs too. In fact, the very establishment of the public library system (the first public library opened in Manchester in 1852) was driven by the lofty aim of encouraging the population to use its leisure time more wisely. Libraries were there so that people, particularly Britain’s working classes, could learn how to become ‘good’ citizens. It is, then, quite predictable to find that people’s tendency to use the service for entertainment rather than education became the subject of much heated debate within certain circles, particularly as the public library system developed in the twentieth century. Publishing trade papers became mouthpieces through which library officials called for all public librarians to do their civic duty and avoid stocking what they termed ‘light’ fiction in their libraries. In light of this, library authorities across the country started to advocate the purchasing of ‘good’ books to improve society’s reading habits. This meant stocking the ‘classics’, like Austen, Dickens, and Hardy, not what one Peterborough librarian condescendingly described as the “mere butterflies of fiction,” written by the likes of the then hugely popular, but now largely forgotten, romantic novelists Ruby M. Ayres and Ethel M. Dell. Meanwhile, government intervention – in the form of a 1927 report compiled by a committee of the Board of Education (known as the Kenyon Report) – ensured that the educational role of public libraries was cemented further. The report linked the service with the nation’s welfare, thus bolstering the claims of those detractors who had rallied behind the call to end the stocking of ‘light’ fiction in the country’s public libraries. Leytonstone Public Library, 1944. IWM non-commercial license. The desire among the country’s political and civic elites to encourage the nation’s readers to spend their leisure time prudently only intensified during the Second World War. Civic leaders, library officials and publishing trade personnel viewed the service as one that could aid national welfare by contributing to the country’s war effort. In fact, in 1942 one library official from Portsmouth – home, of course, to the Royal Navy, and thus strategically-significant – wrote in the Portsmouth Reader appealing to the city’s inhabitants to ‘read for victory’. The city’s population, the official noted, had a civic duty to use their reading time productively as part of the war effort. Such calls were repeated right across the country, with library officials believing that reading the ‘right’ kind of book would help communities prepare for the challenges that lay ahead. Books on radio communications or how to mend war wounds and fractures were thus flagged up as useful additions to enable readers to retrain for their wartime roles. No doubt these books were useful. Library users would have certainly learned something to aid their wartime activities. But these informative texts would hardly have served people’s emotional needs. Reports from social surveys reveal that a visit to the public library in wartime, as now, was invariably made to find something entertaining to read. Indeed, when bombs were raining down on communities across Britain, destroying large areas of cities like Coventry, London and Portsmouth, all people really wanted to do was shut themselves away from the horror that was happening around them and escape to a new world that offered excitement and fantasy. That new world could be found between the covers of a work of fiction, particularly ‘light’ fiction. It’s not surprising, then, that statistics reveal that throughout the war the most borrowed category of book was fiction (as indeed it has been throughout the time public libraries have operated). So, while there may be detractors about the ways public libraries (indeed all libraries) are currently used, history serves to remind us that these concerns are not new. Since the public library’s inception, librarians have faced a real challenge: how to respond to the demands of the public alongside achieving the admirable educational aims the service was intended to fulfil. Finding a balance between education and entertainment is, and always was, a difficult one, but librarians have met, and continue to meet, that challenge with aplomb. In the twenty-first century, when libraries are under threat, not from falling bombs, but by decreasing income, it’s time to celebrate the multifaceted role they play. Libraries have long been central hubs for people in their locality, aiding community well-being and helping to satisfy people’s educational and emotional needs. Long may they continue to play those roles. The country would be a poorer place without them. About the Author: Dr Robert James is Senior Lecturer in History at the University of Portsmouth. He is the author of Popular Culture and Working-Class Taste in Britain 1930-39: A Round of Cheap Diversions? (Manchester University Press, 2010) and numerous articles on the history of leisure, cinema-going and reading, including ‘‘Read for Victory’: Public Libraries and Book Reading in a British Naval Port City during the Second World War’, Cultural & Social History, vol. 15, no. 2 (2018), pp. 233-253.